Esamec is a company from Thiene that carries out sheet metal working for other companies, with a wide variety of products and needs. Recently it has been equipped with a 225-ton press brake for a bending length of 3 metres, with a stroke increased to 400 mm and a wide bench-ram opening of 600 mm, which allows the production of boxes up to about 300 mm tall. 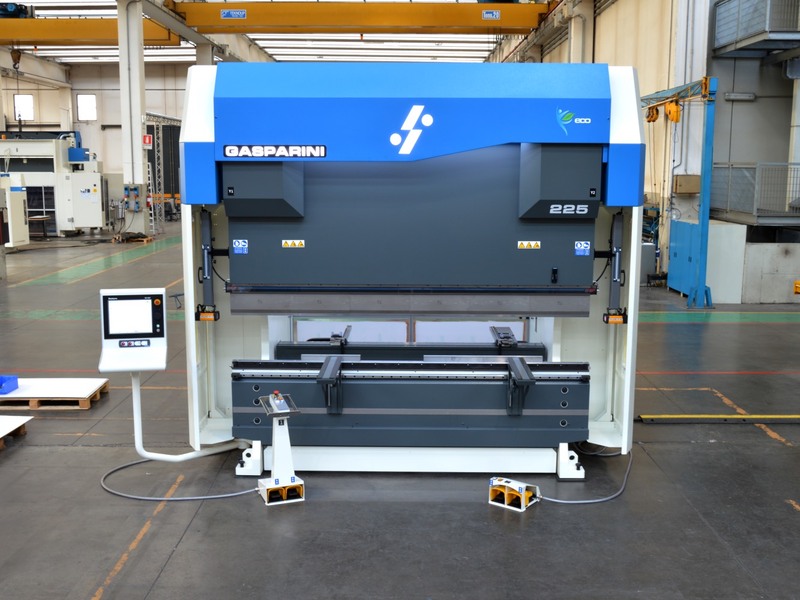 The machine is equipped with Gasparini Adaptive Crowning, which allows to obtain profiles with a constant angle both at the ends and at the centre. The Reflex system, on the other hand, compensates for the different deflection of the frames between pieces of different thickness or length, ensuring that the height reached by the ram is independent and that the resulting angle is always precise. The backgauge is a 5 axes CNC controlled (X-R-Z1-Z2-X6). Thanks to the innovations studied by Gasparini’s R&D laboratory, with only one relative X axis we can obtain an offset angle of up to 75°. We have also added two retractable sheet metal supports in the backgauge, to support even the largest and thinnest parts. The Delem DA-66T CNC also provides the TeleLink remote service tool, which allows our engineers to remotely access the press brake. We can configure the machine and diagnose any malfunctions for preventive maintenance. 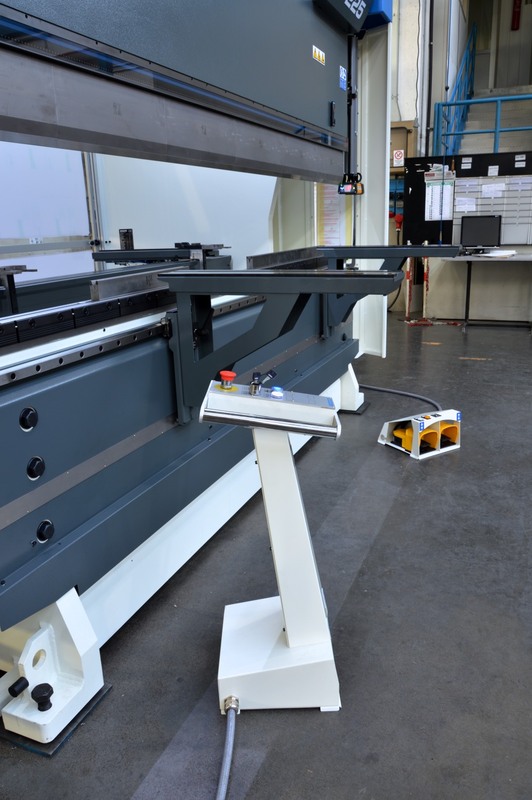 Delem Profile Lite TL 2D offline software allows the customer to create bending programs in the technical department and then send them directly to the machine. In addition to the standard footswitch, we have added a secondary footswitch to make it easy to work with multiple stations. The front supports are sliding, with a very useful tool tray. The ECO energy saving system optimally manages the motor-pump unit, lowering consumption and improving the performance of the hydraulics. We have hydraulic clamping for both upper and lower tools, compatible with Wila standard. Particularly interesting for this customer is the Industry 4.0 Package, for the management and transmission of production data. This equipment includes an advanced sensor system for the detection and correction of process drifts. 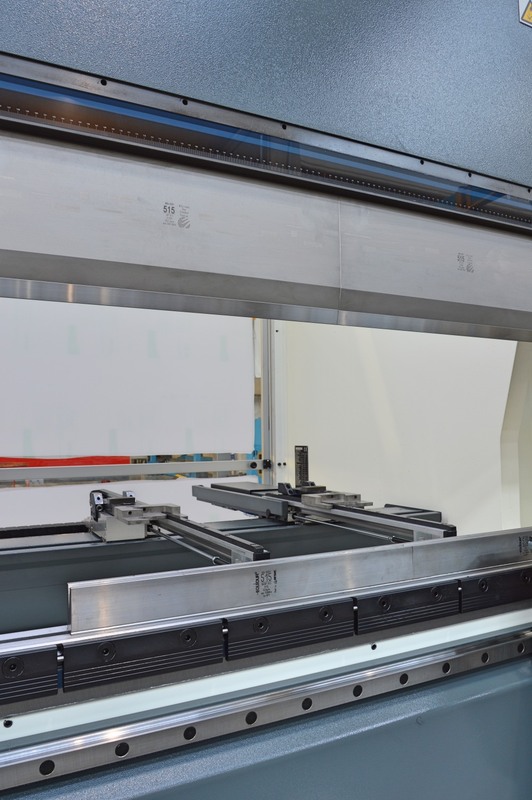 In addition, the press brake will be connected to the company network so that it can be interfaced with the factory information system. Operating and process data can be made available and transformed into reports. All development and configuration activities are carried out by Gasparini’s internal Software House. Would you like to receive an offer for a press brake with this equipment as soon as possible? Use our online configurator: by clicking on this button you will find the screen already set up with the accessories chosen by Esamec. Simply enter your details and send us your request. Easy grab!